Army officers have been left in serious shock after a junior soldier in the army shot dead an Army Major who reprimanded him for using a cell phone. An Army Major was shot dead by a jawan when his phone was confiscated by the officer during a surprise check. 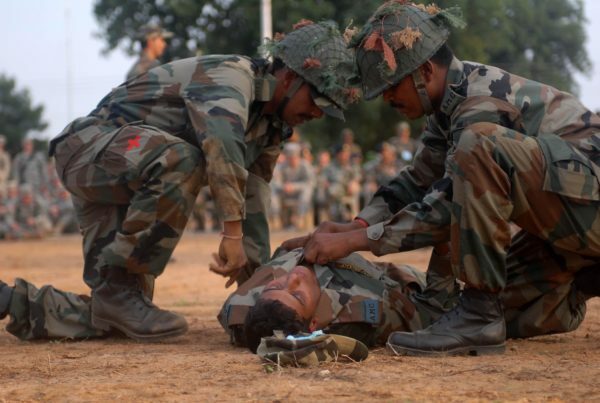 Major Shikhar Thapa of 71 Armed Regiment presently posted with 8 Rashtriya Rifles suffered fatal wounds when a jawan fired two shots from his AK47 rifle from behind. The jawan was found using the mobile phone while being on duty. During the duty check, Major Thapa scolded the jawan and warned him about his act. The phone was damaged when it was being confiscated which angered the jawan. An argument ensued between the officer and the jawan, who then fired two bullets at Thapa from behind.